The Rafu Shimpo Foundation will host its 14th Charity Golf Classic at South Hills Country Club in West Covina on Monday, April 1. Proceeds will benefit the Nikkei Games: Games for the Generations; Nisei Week Japanese Festival; Kizuna; and the Little Tokyo Public Safety Association (Koban). Consul General of Japan in Los Angeles Jun Niimi serves as the honorary chair for the tournament. George Sugimoto, founder of KGS Electronics, is the tournament chairman. He and his wife Ruri are the tournament sponsors. 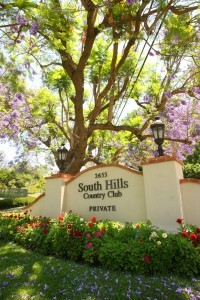 South Hills Country Club, located at 2655 S. Citrus St., is the site of an 18-hole golf course designed by renowned golf course architects Billy Bell Sr. and Jr. South Hills boasts the luxury of an elegant Santa Barbara mission-style clubhouse with many wonderful new amenities. The tournament offers a Handicap Flight with medal play, and a callaway flight with a “shamble” format. Following a day of fun on the course, the tournament hosts a golfers’ reception with appetizers and a lavish buffet dinner. The highlight of the tournament will be the great golf and travel deals at the silent auction and extensive raffle drawing with great prizes. Submit entries and fees no later than March 18. Applications are available online at www.rafu.com. All tournament, platinum, gold, silver and bronze sponsors will receive priority entry in the tournament, will be recognized with signage on the tees or greens, will be designated as sponsors in The Rafu Shimpo’s special golf section, and will be recognized during the dinner banquet. For additional information, sponsorships, or for organizations or individuals interested in donating prizes and/or gifts for the raffle, contact The Rafu Shimpo by email at [email protected] or leave a message at (213) 500-7217. Serving on the Golf Committee are Craig Ishii (Kizuna), Jesse James (OCO), Leroy Kawai (The Pacific Bridge Companies), Mike Kinoshita (J. Morey Co.), Brian Kito (Koban), Michael Komai (Rafu Shimpo Foundation), Nancy Matsui (American Airlines), Judd Matsunaga (Law Offices of Judd Matsunaga), Jim Matsushita (FIA Insurance Services), Gilbert Nishimura (Seki, Watase & Nishimura LLP), and Michael Yamaki (attorney). • Nisei Week Foundation runs the annual Nisei Week Japanese Festival in Little Tokyo, the longest-running ethnic festival in the U.S., founded in in1934. The 72nd festival promotes Japanese and Japanese American heritage and traditions, while bringing together the diverse communities of Southern California through arts and cultural education. 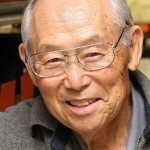 For more information, call (213) 687-7193, email [email protected] or go to www.niseiweek.org. • Nikkei Games: Games for the Generations, as the name implies, encourages all ages within the Nikkei community to participate. With competition spread over four weeks, most of the events are held at the Pyramid at Cal State Long Beach. The games offer martial arts (judo, kendo and karate), basketball, baseball, bowling, coed softball, golf, softball, tennis, track and field, and volleyball. The Nikkei Games marks the 79th year of friendly competition, dating back to 1928 and the original Junior Olympics and its successor in 1952, the Nisei Relays. The Nikkei Games is sponsored by the Orange County Coordinating Council. For information, go to www.ocoyouth.org. • Little Tokyo Public Safety Association was founded in 1982 in response to crimes that were affecting businesses in the Little Tokyo area. What started as a patrol of three men peaked to over 50 volunteers working with the LAPD. In 1996, the LTPSA opened the Koban in the heart of historic Little Tokyo. The Koban is an information center and a LAPD drop-in center for officers to interview victims and prepare reports, and to serve as the headquarters for the volunteer patrol members. The facility is manned by bilingual staff members and volunteers. Because of its long history with public safety concerns, the LTPSA has become the “go-to” group for inquires from the media and law enforcement on Little Tokyo area incidents. The Koban provides safety, service and support to visitors as well as to residents and businesses in Little Tokyo as well as support to merchants and security patrol support for events in Little Tokyo with its all-volunteer force. For more information, call (213) 613-1911. • Kizuna hosts a number of programs throughout the year, all geared at empowering the next generation of community leaders. The goal of the programs is to empower, engage and build activism amongst Nikkei youth. Additionally, it seeks to create a space within the community and the organization for youth to exercise their leadership in a way that benefits society. In 2012-2013, Kizuna has developed two brand new programs with the intent of adding new pieces to its “leadership pipeline.” Coupled together with existing programs, Kizuna now provides a clear path to creating a culture of youth involvement in the community.